Welcome to Beddau Community Church! A former pub known as ‘The Gelynog’ has been transformed into a modern place of worship. what was once a public house, is now God’s house! With a constantly growing congregation we are full of life, laughs and passion. We are blessed enough to host regular charity fundraisers for charities of all sizes. Our youth are full of dreams, goals and aspirations, with a Friday night youth club filling our rooms with children from all over the village, we encourage them to be open minded and to never give up on their dreams. We have a passionate worship team that work hard to keep the church modern and the congregation comfortable. We sing hymns known in every generation and new worship songs from modern-day inspirational singer/songwriters. We feel it is important to bring together the generations and build up the church on the already strong foundation that is our cornerstone. Constantly growing, we welcome everyone through our doors, we have a friendly atmosphere and an amazing family feel. Our church welcomes people of all ages, we have a Sunday School in the morning for children aged 3-15 years. 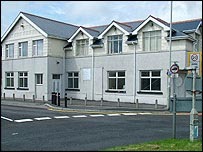 Beddau Community Church is a member of the Elim group of churches. Elim has over 500 congregations throughout the towns and cities in the UK as well as churches in forty countries around the world. Click here to find out more.